I thought I would share my views on 1) The relative valuations within the junior mining sector, 2) Why and where I think there are some obvious value dislocations and 3) Where I thus believe the overall best Risk/Reward opportunities are currently present. Nothing is more exciting than “high impact” drill plays, which often PROMISES the CHANCE of a ten or god forbid, a hundred “bagger”. This of course taps into the greedy aspect of human nature. Most investors/speculators have heard about Voisey’s Bay or Aurelian Resources, and the life changing gains it produced for early birds, who were also able to hold on to such volatile stocks. The junior mining sector provides the opportunity to bet an almost endless amount of money on lottery ticket type of plays. Whereas a lottery ticket’s potential pay out range is anything from 1X “invested” capital to 1,000,000X or more, one would have to buy a ridiculous amount of tickets in order to have say $10,000 at risk. In contrast, one can buy “lottery tickets” in bulk, in the mining sector. A company valued at $5 M with stocks trading at $0.10/share enables a speculator to buy 100,000 “tickets” for $10,000 in an instant, simply through the click of a mouse. Why would the most risky/binary stocks in the junior sector be any different? Why would they not have a greed/excitement premium that often times makes them a mathematically bad investment (on average)? Basically: The less “reality constraints” or “reference points”, the higher the potential greed/excitement premium can be present, since there are few shackles on imagination in place. If the first exploration holes fail in terms of hitting a drill intercept that excites the market, the market’s judgement will often be hard and swift, and it will take a lot for people to get buy into the story in a meaningful way again (Something must re-ignite a positive narrative)… Because if even one hole is drilled, that is another piece of information that all of a sudden tarnishes the view of the story being a “pure play” in speculators minds. The fact that it took a lot of drill holes before Voisey’s bay became THE Voisey’s Bay just goes to show how complex mother nature is, and that hitting the sweet spot on the first try is often a stretch. With that said, only a fraction of prospects become a mine, so one can forgive investors for not wanting to stick around if a maiden drill campaign seems to be in line with such statistics. However, given that a lot of “hot money” usually enters hyped up exploration plays with too lofty expectations, that also usually means that a lot of shares will hit the bid once the reality constraints are put in place… Which CAN lead to an over-priced stock (pre assays) becomes a bargain (post assays) even though the unrealistic expectations that were priced into the market does not materialize (Granted that the results at least shows some promise of some sort of course). The less “drill truth” and data there is, the less constraints can be put on human imagination, and thus less constraints on how big ones internal blue sky vision can be. With each additional assay ones “vision” gets more and more “reality constraints” put in place. The same principle applies when scratching a lottery ticket… And thus the greed/excitement premium will often decrease with every additional assay that is released, because more often that not, reality will never meet ones greedy expectations. Never forget: The average junior is selling a dream. And by continuously selling that dream they are able to receive their salaries. The juniors who’s management teams are tried and tested, with a history of accomplishments , always seem to have access to capital from smart money (at least to some extent). When promotional efforts seem to overshadow ACTUAL efforts on the ground… Well, then I run quick as hell, because it usually means that they probably do not believe they have a chance in hell to come up with something that would NOT result in “reality constraints” being put in place, that would obliterate any trace of greed/excitement premium. As a matter of fact, the more arm waving I see from management, the more cautious I usually get. Especially if said arm waving is not backed up by any smart money being invested in the stock (the type of smart money that would have done proper and deep due diligence). We know that every junior explorer wants claims to have a shot at discovering a multi million ounce (economic) mine. We know that there has only been a handful of tier one or tier two mines found in the last decade. Thus, it implies that the average junior has a minuscule chance of actually delivering such a discovery. In essence, Marathon Gold has got a multi Moz project that (on paper) is worth at least US$493 M, and yet the company’s current Market Cap is US$103 M. Your average junior would probably kill to be as successful as the Marathon Gold team. 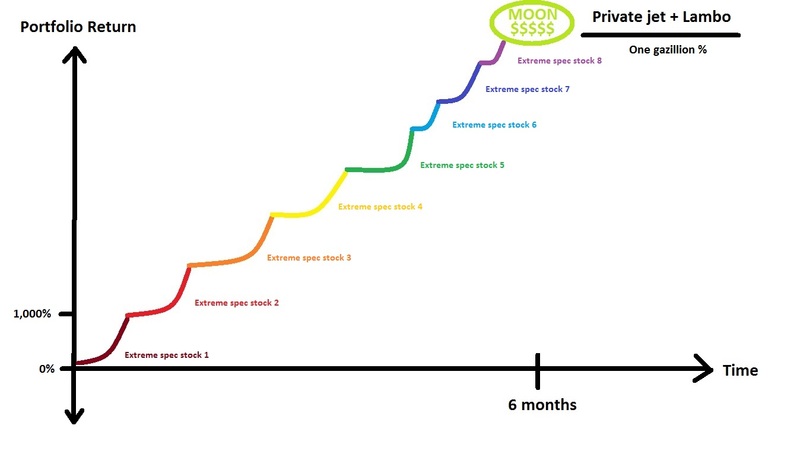 Months/years of early stage exploration and target definition. Continued success over many years. Multiple financings and thus dilution. There are tonnes of other stuff that had to go right to end up with such project economics (metallurgy etc). The point is that Marathon Gold can justifiably be called a “winning lottery ticket” in the junior mining space. Only a fraction out of all the hundreds or thousands of juniors will have similar success, yet the average junior explorer’s market cap does not reflect that reality. Just think about it. If you can buy a “winning ticket” in the form of Marathon Gold for US$103 M while the prize received of cashing in that ticket is around US$493 M, then how cheap must not a “blank ticket” be in order for it to be a superior buy relative to the “winning ticket” that is selling at a discount? An average junior explorer with a US5 M market Cap must have better than a 5% chance of finding a deposit that is better than Marathon’s, which has got a 4.2 Moz resource and is currently worth over US$493 M on paper. Furthermore, that does NOT include 4-5 years of proving up the resource. Nor does it account for multiple dilution events along the road, which of course blunts SP appreciation (lowers returns). Thus, in reality the odds need to be much better than 5%. If Marathon and other developers were trading closer to their estimated NPVs, then the required odds would change a lot of course. Believe me when I say that I think the opportunity cost of holding your average (grass root) junior explorer is currently at the highest levels that at least I have seen. Yet, our greedy nature often looks for “get rick quick” opportunities, even though it is actually akin to actively passing on opportunities that has a much much higher chance of getting you towards the same goal (getting rich). The only (main) costs are 1) Time… It takes more time, 2) Fewer reasons to shuffle the portfolio, which can be hard for people who always wants to do something and 3) Less/more infrequent adrenaline rushes. Many winning lottery tickets are selling at a discount currently, and yet people are often willing to buy the tickets at a premium. If I could buy a winning lottery ticket that is worth $100 for $50, then I hope I would have the discipline to resist my human greed and lust for excitement, and not buy “blank tickets” at a premium (negative Expected Value). 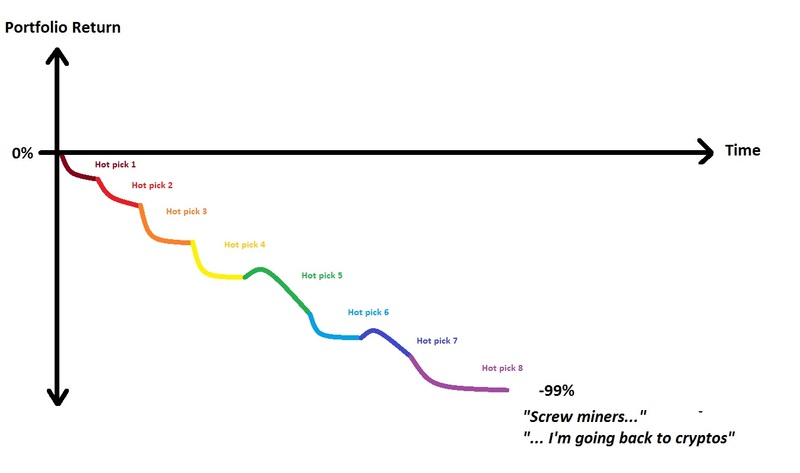 Another way to look at is that the lottery tickets cost the same, but due to poor miners sentiment, the prize of each ticket is cut in half (which drastically changes the Expected value). In essence: Known/bankable success is selling at a discount, and most exploration plays present a very poor Risk/Reward proposition in light of that (IMHO). When the quality producers/developers starts to rip, then this can of course change rather quickly… When the market starts to price success at fair value, then I will be more eager to buy companies that are out hunting for it. Honorable mentions that could have been used instead of Marathon Gold in this section; Pure Gold Mining, Premier Gold Mines and Liberty Gold (to name a few). We all dream of a ten bagger, that is followed up by another ten bagger, and then another ten bagger after that… And it can never come soon enough. Now, don’t get me wrong. I do own a few exploration pure plays, but I try to make damn sure that 1) The people involved are top notch and 2) That the prize is big enough to warrant buying them (again, given the opportunity costs due to the low valuations for developers/producers). I think most are familiar with the “80/20 rule” aka “Pareto Principle”, which basically suggests that 80% of the success in any professional “realm” will come from 20% of the participants. Hence the common advice that people are the most important driver of success for any mining company. Given how some people in this business seems to be serially successful, I put much weight on this simple rule of thumb, and thus pretty much only invest in teams with previous success (for better or for worse). Furthermore, some teams/groups always seem to have great access to capital. No doubt because the institutions and big private players in this industry believes in the 80/20 rule as well. One could probably say that no more than 20% of management teams are worth backing and that no more than 20% of prospects are even worth considering (Honestly, I think it’s even below 20%). I would then argue that the people worth backing control the projects worth considering… Follow the (smart) money. But I must admit, I can’t bring myself to not hold any exciting exploration plays. If an exploration play is cheap enough relative to what a realistic prize might be worth, and it’s run by competent people with good backing, then that can still be a bet with positive Expected Value (good Risk/Reward). I would not be chasing juniors with blind targets, in an unproven area, with an unproven team, that has limited access to capital and/or without some serious data to back it up though. Tier one and tier two deposits are very rare, but they are pretty much the only deposits that are really worthwhile to hunt given how cheap it is to simply buy at least tier two deposits in the market at this point in time. Tier one geo (Quinton Hennigh). Insiders got a lot of skin in the game. Big target(s) in a good jurisdiction. Multiple targets in one area allows for multiple “shots”. De-risked through mapping of multiple veins that outcrop at surface. Should be able to bulk sample/mine and have a quick way to get cash flow right from the get go. It’s not cheap at face value, but near term production coupled with the grades and the size of the targets makes it 1) more de-risked than most people think, and 2) a shot at a true tier one deposit. Very cheap based on the fact that they already got a near surface high grade 30 Moz AgEQ resource (soon to be higher), with room to grow. Basically cheap based on what they got, and they got plenty of room left to grow. One of the best Risk/Reward cases out there IMHO. Honest CEO with a financial background. Management with a lot of skin in the game. Assays from first ever drill campaign on their land is expected any day (very high risk/very high reward). Their project is right next to Alamos Gold’s multi Moz Mulatos deposit, and not far away from Agnico Eagle’s La India deposit. De-risked since they brought on a 16 year Mulatos veteran who did an exploration report on the project that showed the same geological setting as the neighboring mines. Agnico Eagle did a placement (and actually wanted to do a JV) BEFORE the first ever drill rig at the project hit the ground. Minimum bar for success ought to be drastically lower than your typical junior since it’s right next to both Alamos Gold’s and Agnico Eagle’s operations. Same geological setting as the neighboring mines belonging to a major and a mid tier. Agnico Eagle did a placing BEFORE any drilling was done. Even a relatively small deposit would be of interest since it would extend the mine life of any of the nearby projects. Agnico Eagle and Alamos Gold won’t need to build a plant, which makes any potential ounces even more valuable. De-risked with near term production potential. Big and diversified target portfolio. Honest management and tier one consultants. De-risked through geological setting and official interest from Agnico Eagle. Great Risk/Reward due to the point above as well as a lower threshold for success. With all of the above said; Yes, even (or especially) crappy micro caps can produce big short term gains via an inflow of greater fools/hot money, but when that fades and reality gets priced in again, then look out. There is simply no need to try to be a hero when even quality companies are on sale. Lastly: Whatever junior explorers you might considering to buy, just be mindful of what the current price of success is (the relative valuation between explorers that usually have very poor odds of findings success and the companies that already got “lucky” and have already found it). If success is cheap to buy, then the opportunity costs for explorers goes up, and if success is trading at a premium, then maybe explorers are actually the better buys overall. Relative Valuations. Source: The Hedgeless Horseman. Note: This is not investment advice. Always do your own due diligence. I did not get paid by any entity to write this article. I currently own shares of Irving Resources, Miramont Resources, Goldplay Exploration, Aloro Mining and the Pilbarians. I may buy or sell shares at any time. These are all high risk/high reward cases and not for the feint of heart. Junior mining shares can have extreme volatility and low liquidity. Do not bet the farm whatever you do! If you find my work valuable and want to help me keep publishing most of my research for free then please consider making a donation, no matter how small.